This week at StockdaleMartin we’ve been discovering the science behind sewing buttons into dog’s ears! 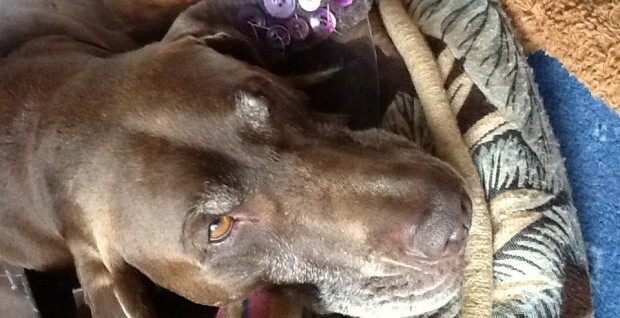 We received a photo of a friends dog having come home from a trip to the vets with a number of button’s sewn into his ear. On investigation we discovered that this was apparently a very normal process where a vet sews buttons into the ear to stop the ear flap from filling with blood which has usually occurred due to an injury or severe scratching. We have definitely all learned something new this week and hope our poor friend Kane gets better soon. On a more positive note, at least the vet chose buttons which all matched!